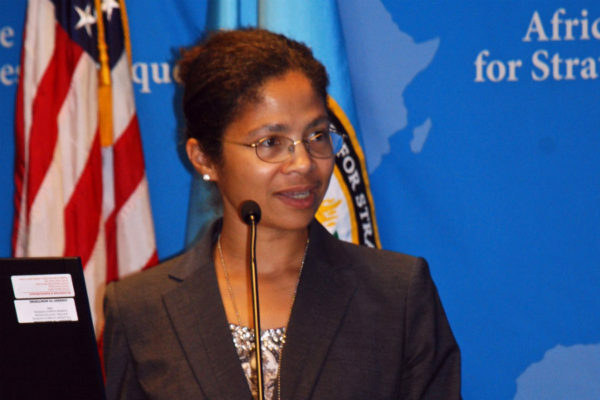 Dr. Dorina Bekoe was an associate professor of conflict prevention, mitigation, and resolution until November 2018, focusing on Africa’s peace operations and security challenges. Her areas of expertise include Africa’s political development, peace agreements, electoral violence, and institutional reform, including the New Partnership for Africa’s Development and the African Peer Review Mechanism. Prior to joining the Africa Center, Dr. Bekoe was a senior research associate in the United States Institute for Peace Center for Conflict Analysis and Prevention. She has also worked at the Institute for Defense Analysis and International Peace Institute. She received a B.A. in economics from Franklin and Marshall College in Lancaster, PA; an M.S. in public policy from Carnegie Mellon University in Pittsburgh, PA; and a Ph.D. in public policy from Harvard University in Cambridge, MA. Ghana’s Perfect Storm: Is Africa’s Model Democracy in Danger of Faltering? What Does Electoral Violence Signify?